Born in Merseyside in 1982, the only child of actors Alun Lewis and Anita Ekblom, Amelia Warner first made a name for herself as an actor. She starred in the 2001 BBC production of R.D. Blackmore's Lorna Doone, and soon established herself as a performer of quiet insight in films such as Philip Kaufman's Quills, Adam Rap's Winter Passing and Stephen Wooley's Brian Jones biography, Stoned. On the set, in down time, Warner would compose music and write songs, a passion that had been there since childhood. Using the name Slow Moving Millie (a playful nickname from friends who felt she should do more with her music, and fast) Warner began to create music. Her first major project was scoring British short film Mam, which won several awards on the film festival circuit. Working with an old midi keyboard, Warner came to Universal a new EP titled "Arms", produced by Fyfe Dangerfield. These five poignant, textured pieces for grand piano took Warner to No. 1 in the iTunes classical music charts. Following "Arms" came her second EP "Visitors", which featured 7 songs each based off of a fictional female character and gave her another No 1. on iTunes. 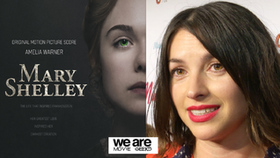 In 2016, Amelia scored her first feature length film – Mum's List – and is now scoring the upcoming film Mary Shelley, a movie about the writer's love affair with Percy Bysshe Shelley – the relationship that inspired her to write Frankenstein. 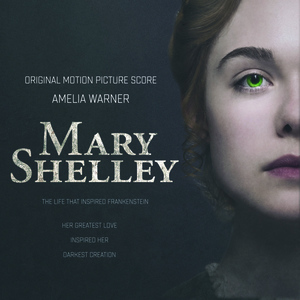 Universal Music Classics/Decca Gold announced today, the release of the score to the highly anticipated biopic from IFC Films, Mary Shelley, which features original music by composer Amelia Warner (Mum's List). Mary Shelley will be released digitally on May 25th – the same date the film premieres in theaters in the US. In describing the composition process, Amelia emphasized the ghostly themes of the film by utilizing vocalists and orchestral rhythms to assist in telling this illuminating tale. "We used a lot of synths layered with the orchestra. The real strings layered with electric synths created a strangeness and modernity that I think works well with Mary's character. We found some amazing musicians and two incredible singers who are a huge part of the score. We used a soprano and a counter tenor and had them sing in a very expressive way. For example, when things start to go a bit crazy in those Geneva scenes, we got the singers to scream and to slide up and down the scale to create an unsettling disorientation. It was a difficult cue and took a while to get right. Voice was really important as were the strings, which are slightly discordant. We also used breath and heartbeat to feel like we are experiencing it as Mary."